Learn Travel Guide (LTG) Paris - city guide of Paris it contains city guide (Guide-Paris) with maps and illustrations phrase-book (Phrasebook-French) with useful phrases to communicate in French notes (Notes-Paris) is for writing impressions. 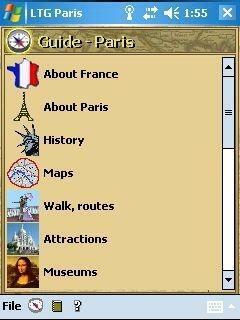 Program works on mobile devices with Windows Mobile 6 Windows Mobile 5 Windows Mobile 2003 Pocket PC.Guide - ParisGuide - illustrated city guide with maps. Information about Paris includes categories: About France About Paris History Maps Attractions Walk routes Museums Gardens Restaurants Bars Shopping Climate temperature Communications Money Transport Disneyland Aquaboulevard Cabaret Shows Calendar of Events.Maps contains Metro of Paris Map of Monuments and Museums of Paris Map of the Paris regions Sena river by boat Disneyland.Museums describes Louvre dOrsay Pompidou Centre Carnavalet Musee National Picasso Musee National du Moyen-Age Musee Auguste Rodin Cite des Sciences et de lindustrie City Museum of Modern Art Musee de lArmee Musee de lOrangerie Musee Grevin Musee National des Arts asiatiques Guimet Musee des Arts Decoratifs Musee Marmottan Monet Musee Salvador Dali.Attractions describes Eiffel Tower Notre-Dame de Paris Arc de Triomphe Jardins des Champs-Elysees Basilique du Sacre-Coeur Tour Montparnasse Pantheon Place de la Bastille Dome de lHotel des Invalides Montmartre Aquaboulevard Disneyland Parc zoologique de Vincennes Sena river by boat.  Phrasebook - FrenchThis phrasebook contains categories: Basics Getting around Necessities Time phrases.You can choose categories and interesting phrase the program will show the phrase in French with transliteration of pronunciation.